A team of cyclist is preparing for Pelotonia - all are doing the 102 mile route to Athens. Spin-a-thon this weekend at Cyclist Connection in Canal Winchester. Starting at 5 PM Friday, they will be spinning until 5 PM Saturday. 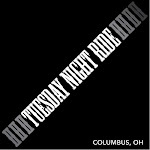 Pelotonia training rides (and non Pelatonia riders) starting at 8 AM Saturday. I will lead one of the rides helping with climbing technique as we hit the hills. Bexley city officials are expected to impose a new law next week that would fine parents if their children are riding a bicycle in Bexley without a helmet, but not all officials agree they should intervene. The city proposed an amendment last month to its bicycle and motorcycle laws that would require children under 16 to wear a helmet while operating a bicycle on a city street, sidewalk or alley. Parents of children caught riding without a helmet would pay a $25 fine; however, the offense would not be considered criminal, according to the proposal. City Council is scheduled to vote on the proposed amendment at its Tuesday, July 27 meeting with a unanimous recommendation from Safety Committee members to approve the new rules. GO: Sierra Nevada Ride from DJ Menges on Vimeo. City of Los AngelesMayor Antonio Villaraigosa of Los Angeles on a jaunt earlier this month. Attending the Copenhagen climate conference last December, Mayor Antonio Villaraigosa of Los Angeles had a revelation: his own city needed to do more to promote bicycling as a clean form of transportation. “I’ll tell you what I came away with: that in the area of bicycling, I’ve got to do a better job and the city’s got to do a better job,” Mr. Villaraigosa told Southern California Public Radio. Last weekend, however, the mayor learned a tough lesson about urban cycling firsthand: cars and bikes don’t mix. Saturday, August 7th. 7:00-9 a.m.
Buckeye Grove Shopping Center at the corner of Hoover Road and Route 665, Grove City, OH. Parking in northeast corner of lot only. Scenic routes along the Big Darby and nearby watersheds Roads will be marked and maps provided. Flat to rolling mileage options from 30 to 100 miles. Budget Tour. $2 member, $4 non-member.